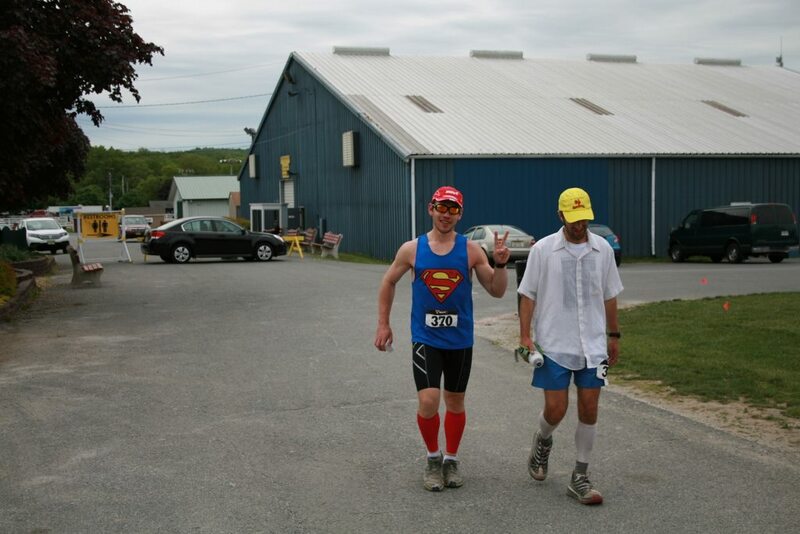 Two years ago I ran the Rothrock 30k here in my backyard. I finished with a respectable time and would have otherwise been thrilled with my run if it were not for an injury I incurred during the run. Somewhere amidst the many climbs and rock scrambles, my right foot came down directly into a rock resulting in a full-force jamming of my big toe. When it happened, it sent an intense shiver of pain up my foot and I had immediately assumed that my toe was broken. Fueled on adrenaline, I hobbled my way through the rest of the race and went home to ice. I went for an x-ray a few days later and to my surprise there was no fracture, however it did show that my cartilage appeared to be nearly gone between the one joint of the toe. The doc labeled it as a specific type of arthritis brought on by "wear and tear", likely worsened by the impact. Since that day, I have been plagued by this damn injury. No matter what I have done to alleviate this problem, the nagging toe pain always seems to linger. It comes and goes, but has never left completely. It is likely that this injury is what also led to my eventual heel and knee pain as well. 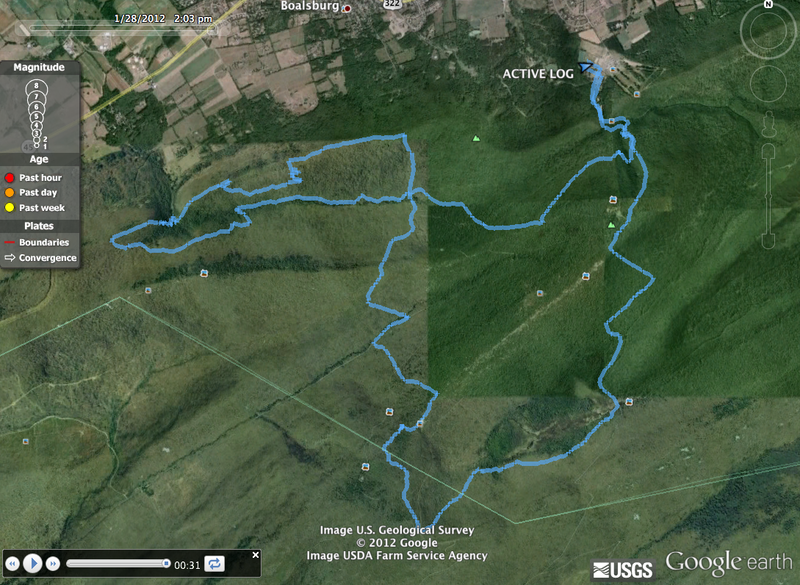 I think a lot about what would have happened had I not run at Rothrock. What if I didn't stub my big toe on the rock? Was the toe still severely weakened and ready to fail anyway, or was it the single event at Rothrock that caused it. I guess I'll never know. 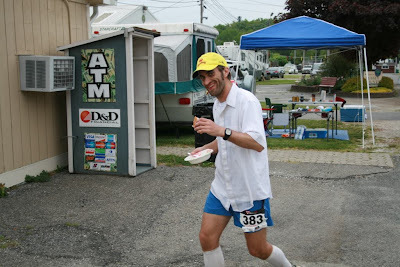 Since that day, I have probably run the entire Rothrock 30k course over couple dozen times and done repeats on various sections of the course over a couple hundred (at least). 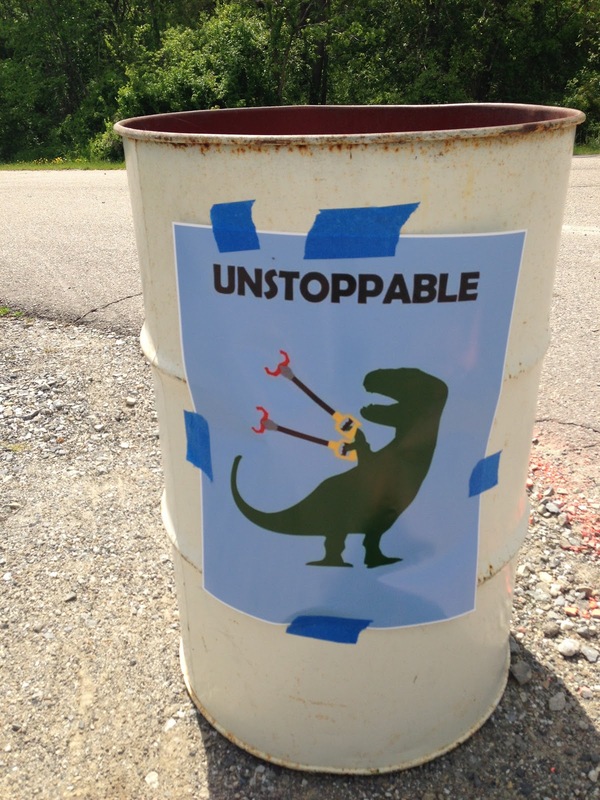 All of my Barkley training was done on all or parts of the course. In a way, I feel like I was paying my penance to the Rothrock gods. 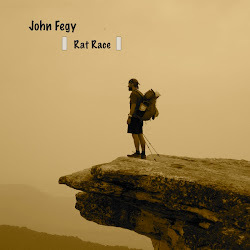 Last year I chose not to run the race, as in my mind it held somewhat of a curse for me. Despite the dozens of runs along the course in my own time, I didn't want to run the race again. Call it superstitious, but I wasn't feeling it. 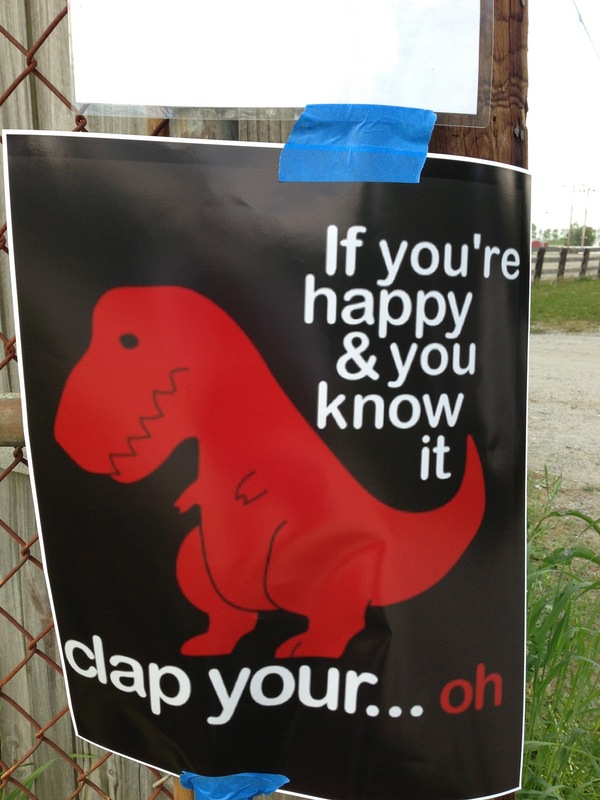 Instead, I rode my Surly up to the race in the morning, parked along the course and had a blast cheering on the runners. I wheeled around to various checkpoints cheering and taking photographs. It was a lot of fun. After two years, I feel like I'm ready to give it another go. So...this Saturday I will be running the race again. Hopefully I'm not tempting fate here and will simply come away from the event having had a good time and a successful race. I will definitely be wearing my beefier and more protective shoes (as opposed to the crappy minimal shoes I was wearing in 2011). I feel having survived Hyner this year, and spent two years re-running the course, I'm ready to stomp the superstition back to where it belongs. I suppose if I do injure myself this weekend, I will be eating my share of crow and cursing myself for ruining my upcoming summer of great races. I know this course better than I know any other route. Upside down, inside out, and backwards. I have nearly every turn memorized, every scramble optimized, and every rock noted. I'm ready for this sucker. 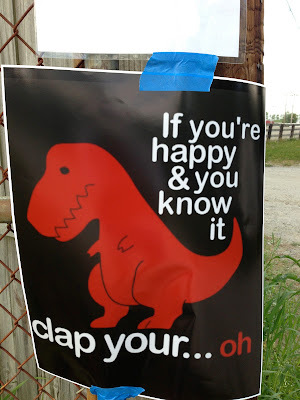 So...let's keep it simple, not push it, and just go have a fun time playing in Rothrock. Sounds good! Grueling Greenwood, Blazing Beidleheimer, 3DATF, and Some Much Needed PT. As to the rather prolix title of this post, well there's been several new things that have kept me occupied since my last entry. Last weekend I took part in what was the 2nd annual Greenwood Furnace Trail Challenge. 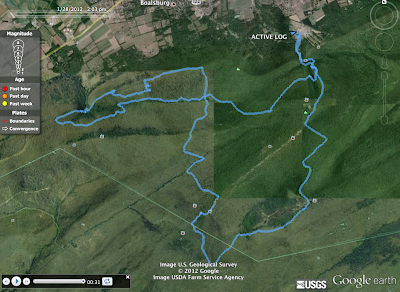 This race is an approximate half-marathon mostly on some fairly technical trails located within Rothrock State Forest. I think of it as sort of a little brother to the Rothrock 30k Race. The big difference is that the climbs on the Greenwood course are actually longer and feature two ascents that have more gain than any single climb on the Rothrock course. Needless to say, the course is feisty and has only about a mile and a half of actual "level" running. 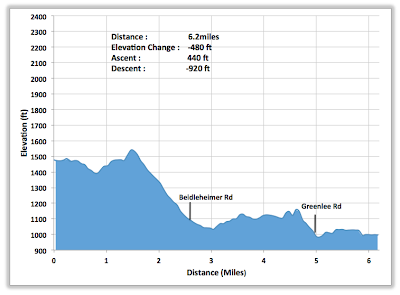 To give you an example, I'll post the map and elevation profile below. The y-axis is in meters, and I have no clue what the x-axis is in...I think GPS points or something. But it equals about 13.2 miles. One of the things that drew me to this race was that I had actually done these climbs as part of my Barkley training and I knew how tough there were. The Greenwood Spur section of the Mid-State trial up to the fire tower has the most elevation gain of any single climb in Rothrock (on trail). To make it worse (or better), the entire course is littered with nasty rocks of all sizes. Gotta love those PA sandstones. The first climb is about 1300 feet, and the 2nd almost 1500 feet. My goal for the race was to simply push myself comfortably hard, but to still make sure I was enjoying the absolutely perfect trails. The weather forecast was for mid-50's and a clear blue sky. I was thrilled. I ran fairly strong all day and finished well-winded, but not exhausted with a more-than-satisfying time of about 2hrs 9mins. (See results here: GTC Results). The race director(s) put on a fantastic event and the post-run shindig was great! Lot's of practical and usable swag too. 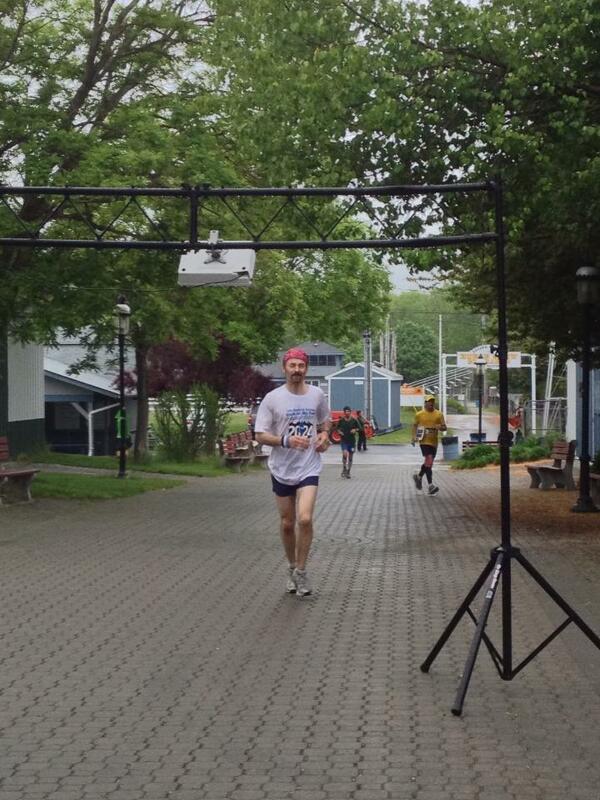 This morning I participated in my third running of Tussey Teaser #3, a.k.a, The Beidleheimer Sidewinder 10K. Of all the teasers, this is the only one that is recorded as an "official" and certified race (and includes awards). What makes the results interesting though, is that they are age/gender - weighted based on the WAVA/WMA rules. This method uses a bunch of equations to re-calculate your time based on your "handicap". For a middle-aged man like myself, I don't usually get any sort of boost. If I were 45 years old, my time would be lowered. The theory behind this is that it puts all runners, regardless of age or gender, on an equal scale. I always end up doing pretty well at this race (top 10), but after the adjustments, I always get pushed down several slots by runners who finished just after me but who've had their times adjusted. This year was no different...BUT, with one added and unexpected surprise! The course is usually pretty fast as it is entirely on fire roads, and features a fair amount of downhill. This can be deceiving though as there is still almost 500 feet of ascent...made up entirely by short, but steep climbs. In 2011, I finished this race in 40:32. 8th place overall, but 13th place after it was re-adjusted. This was the closest I've ever come to the mythical 40 minute 10K barrier. 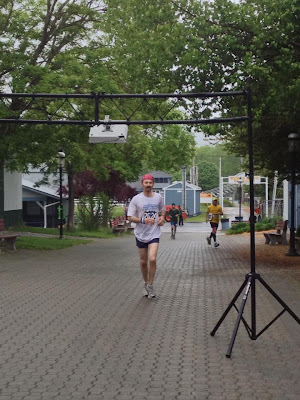 It was just a few weeks ago now that I posted about how after almost 6 years of solid running, I was finally able to break the 20 minute barrier at a local 5K when I crossed the line in 19:58 at the Jeremy Herbstritt Memorial Race. Today as I came charging down the final forest road hill with about a mile left to the finish, I could feel the runner behind me breathing down my neck. 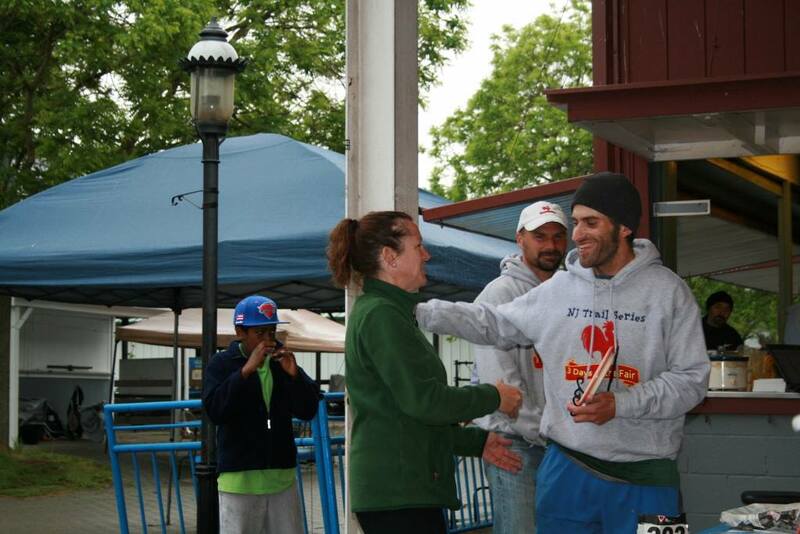 I decided to give whatever little juice I had left to making sure I crossed that finish line ahead of him. 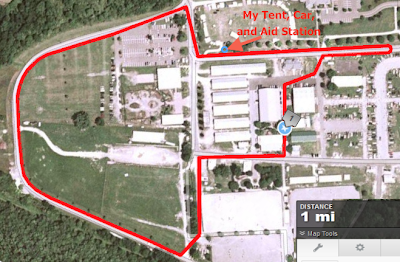 When I rounded the last turn and saw the finish line a ways up, I looked at my watch and it read 39:30. I sprinted as hard as a I could for the last few tenths and crossed the line in 39:59. Seriously...39:59. Ridiculous... but I'll take it! I had finished in 3rd place overall as well, but after the WMA re-adjustments, I was bumped down to 7th. Whatever, I'm just thrilled to have had a pain-free, fast, and fun race that ended in a sub-40 time. So 3DATF? 3 Days at the Fair. On Wednesday evening I head over to New Jersey for a few days to run in circles :-) It sounds ridiculous, but I'm actually kind of excited to try something entirely different. 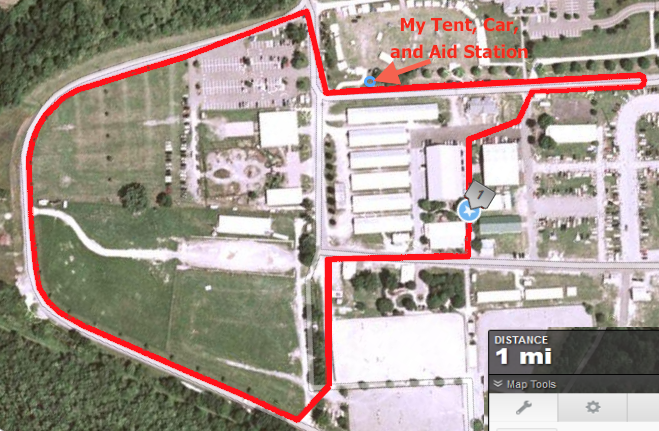 I have some good audio books to keep me entertained, there will be almost 100 people running, and I've heard that the aid station food is ridiculous! Plus, it means I get to camp...which is always fun. Not sure I'll last through Sunday, but I plan to have fun regardless. I might try and post updates from the race maybe. Haven't figured out how I would do that just yet though. I finally decided to get checked out specifically for my heel and knee. I've been dealing with come-and-go heel pain since last May and despite my best efforts with ice, rest, advil, stretching, or footwear, have not been able to snuff it out entirely. I had been putting this off, but last week when I noticed the outside of my knee starting to get a little sore again too, I made the appointments. X-rays came back fine and were all negative for any kind of fractures or spurs. With the help of the docs, we were able to identify the exact nucleus of my pain with regards to my heel...and yep, it is in fact a very specific and acute PF. Thankfully it never gets any worse, but also never has really gotten a lot better. We also talked at length about the history with my knee and my overall health and running history. In the end, they directed me to a a Physical Therapist that video-recorded my running for analysis, and has me doing very specific forms of stretching, exercises, and icing that I hadn't done. Turns out I was doing a lot of incorrect things, and stretches that could have actually been exacerbating my problem. To my surprise, he told me that due to all of my running over the years, my connective tissue has actually become overly tight...meaning it needs to be stretched a lot. He actually instructed me NOT to take off from running as the running it self helps to keep it stretched out. This would certainly explain why after every race, my heel pain goes away for days...only to return once I've gone back to easy runs. At any rate, it feels good to be proactively working out my kinks, and with the help of a real professional. One of the things I like about this guy, is that he is also a long-distance runner and basically corroborated what I've thought to be true for a long time now: That most of the trends, fancy shoes, and new running techniques....are pretty much just gimmicks. Having run solidly now for over 5 years, my body has learned how to be most efficient. Putting something in my shoes, or changing my shoes drastically, or trying to change my gait, etc....will only serve to "mess with a good thing". So if it's such a good thing, then what's with the PF and knee pain? Well, the quick answer is that I HAVE been messing with a good thing. 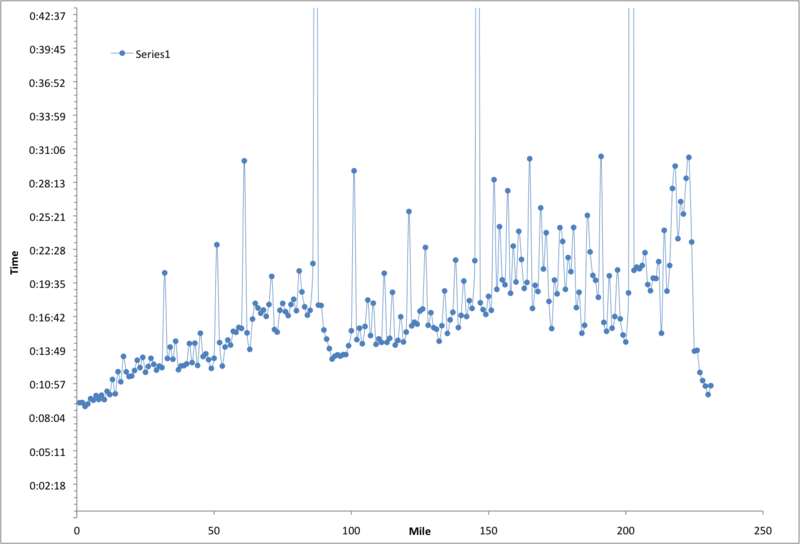 Since 2011, my running has changed slightly with regards to my right foot and leg. Gradually over the 2 years, unbeknownst to me, I have very slowly changed the way I plant and push off of my right foot...which is likely the root cause of all of my problems (which are all on my right leg). Why did I do this? Simple.....In June of 2011 I bashed my big toe during the Rothrock 30k and likely haven't been planting my foot correctly since (so as not to hit that "twinge spot" as I like to call it). I gradually, and subconsciously, have adjusted my running so that I avoid pushing off of the arthritic spot on my right foot. The problem is that there really is no great way to fix it other than to try to slowly bring back more mobility and flexibility to my big toe. While my heel was clean, there IS a very small spur on that toe joint that has formed as well which can't be removed without surgery (which the Doc doesn't think is necessary). So for now...we're going to continue with the running, continue with the stretching, rolling, exercises, and icing (which has already made my knee pain go away completely, and my heel feel much better), and see how it goes. 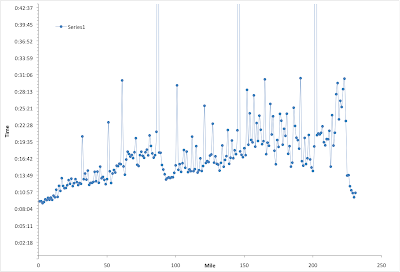 If I can find a way to run efficiently with only some occasional toe pain to deal with (and not these secondary issues), it might just be something I have to live with.